This timeless contemporary chest from Prepac blends well into any style of decor. Its solid wood exterior is finished in a tasteful white colour. 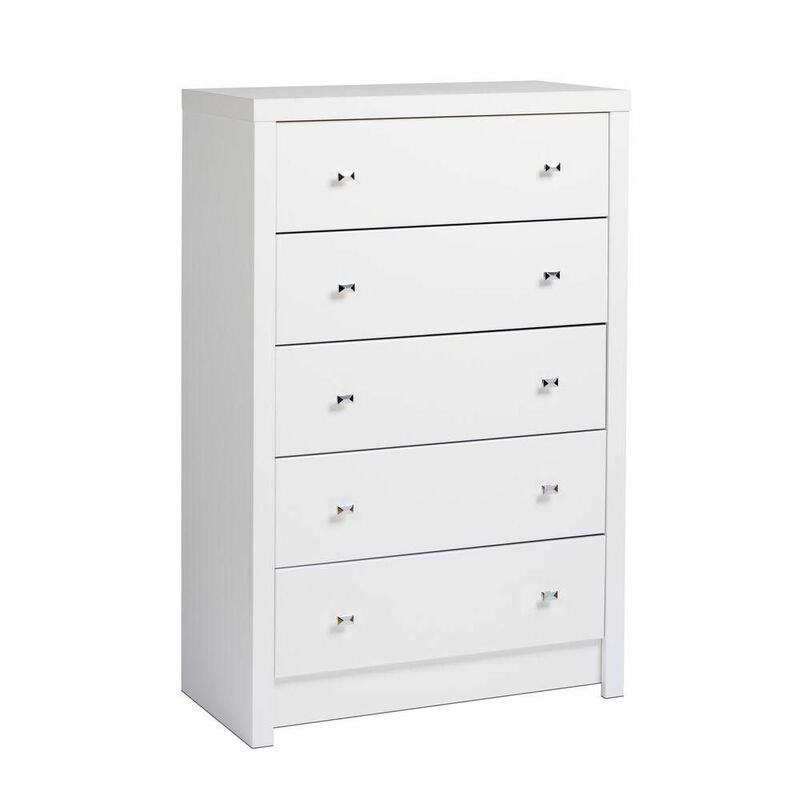 Nordik 4-drawer chest from Nexera is offered in a rich natural maple laminate finish with carved matte white drawer fronts and legs. It offers a stylish solution to store your clothes and personal belongings. Calla 30.25-inch x 45-inch x 16-inch 5-Drawer Chest in White This timeless contemporary chest from Prepac blends well into any style of decor. Its solid wood exterior is finished in a tasteful white colour. Calla 30.25-inch x 45-inch x 16-inch 5-Drawer Chest in White is rated 3.5 out of 5 by 4. Rated 1 out of 5 by Franki from It was very poor quality and there were chips in... It was very poor quality and there were chips in the drawer fronts. We returned it. Rated 4 out of 5 by Natalia from Looks nice! Looks nice! Rated 4 out of 5 by Biscaro from I didnt expect it to need assembly and thought wood... I didnt expect it to need assembly and thought wood quality would be better, more solid. Rated 5 out of 5 by Nicki from This set of drawers was perfect for what we were... This set of drawers was perfect for what we were looking for. Very sturdy and well-constructed. We were surprised by how ingenious the design was. I would totally buy this or other pieces of furniture from this company again. Are the insides of the drawers finished white or are they exposed wood?